We understand that when you’re looking for a commercial roofing contractor, you’re looking for an experienced professional who does than just get the job done. Our commercial roofing service is designed to produce the highest-quality results while making your job easier. Brad Anderson and his team are experienced, professional commercial roofers you can rely on from the initial quote to the final approval. You also get an annual commercial roof inspection for two years after the project has completed, so you know your clients will stay satisfied. 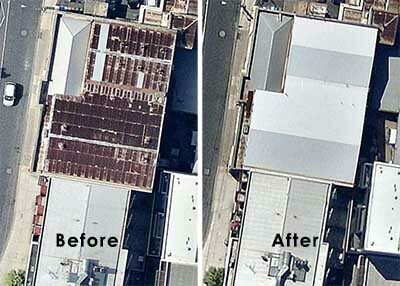 Contact B Anderson Roofing, your commercial roofing contractor in Melbourne, for an obligation-free quote. Or call Brad Anderson directly on 03 8680 2527.